When you look to the future, you probably understand that a time might come where you are no longer able to make sound decisions for yourself. Nobody likes to think in such terms, but the reality is your health could deteriorate to the point where you cannot express your desires about your money, belongings, or even your medical care. 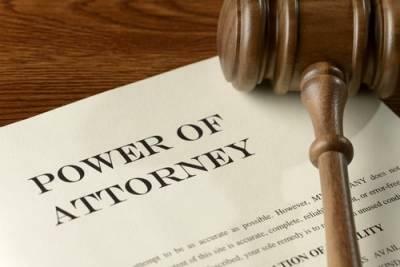 In order to account for this possibility, the law in Illinois allows you to choose a person to act as your power of attorney for important decisions like these. The selected person will have legal authority to make decisions for you in the event you are unable to make them for yourself. Be able to work well with accountants, lawyers, doctors, hospitals, and other professionals to protect you and your best interests. In addition to being capable, your selected agent must also be willing to take on the responsibilities associated with powers of attorney. A person who only agrees out of a sense of obligation is not likely to be very helpful. If you ask someone to be your agent and they seem unsure, you might want to ask somebody else. The instructions contained in a person’s Last Will and Testament are deeply personal. An individual usually thinks long and hard about how he wants his estate divided among heirs before putting these decisions in writing. According to Illinois law, wills produced through undue influence, coercion, force, or fraud are not legally-binding. If you believe that your loved ones will does not reflect his or her actual final wishes, you may be able to challenge the validity of the will in court. Challenging a will can be a complex legal endeavor. 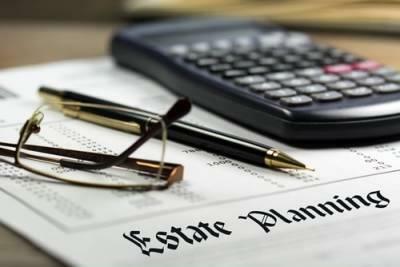 Help from an experienced estate planning lawyer may be necessary in these cases. Did Your Loved One Have the Mental Capacity to Understand the Will? When we age, both our bodies and our minds tend to weaken. In order for a person to be able to legally enter into a contract such as a will, he or she must have the mental ability to understand what he or she is agreeing to. 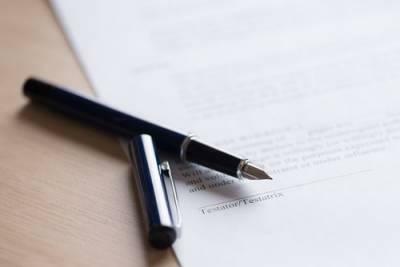 This so-called “testamentary capacity" includes an understanding of the value of the property addressed in the will, an understanding of who should logically inherit this property, and the consequences of signing a legally binding document. Not everyone with dementia or another mental disability is unable to legally consent to a will, however. It is up to the person challenging the validity of the will to prove that his or her loved one could not consent to the document. In situations like this, the validity of the will may hinge on testimonies of the witnesses to the will signing, medical evidence, or an adjudication of incapacity. Was Your Loved One Under Duress When Signing the Will? Legal documents, such as wills and trusts, which are entered into through coercion or force are not legally valid. This means that if your loved one only agreed to the terms of the will because he or she was afraid not to, the will may be unenforceable. Duress can include threats of harm to the testator or his or her loved ones, intended harm, or other stress put upon the testator intended to get them to do something they would not otherwise do. Only estate planning documents signed and agreed to by the testator’s own free will can be enforced. Television and movies are partially to blame for vast misunderstandings about wills, trusts, and other estate planning tools. On TV, the only people ever talking about a will are older wealthy individuals. Some people may even believe that only the rich should make estate plans. However, nothing could be farther from the truth. Estate planning is a step that everyone should take, regardless of wealth or status. One of the most overlooked elements about wills and trusts is the benefit that they bring to the surviving family members of the deceased. When a person without a will passes away, their surviving family and friends are left to guess what the deceased person would have wanted regarding property and final wishes. This is a lot to ask of people who are already suffering the grief of losing a loved one. Even if your will only covers a few small pieces of property, putting your wishes in writing saves your loved ones from the emotional burden of making inheritance decisions on your behalf. Estate plans do not only involve what happens after your death. Several estate planning tools—including powers of attorney and advance medical directives—address issues that could arise while you are still living. For example, a power of attorney for property is an estate planning instrument which gives a representative of your choosing the authority to make financial decisions on your behalf. This is vitally important if you ever become incapacitated through illness or injury. Nearly everyone appreciates saving money on a good deal. However, when it comes to do-it-yourself estate planning, not every “good deal” is as good as it appears. Online estate planning services are more prevalent than ever, but many legal professionals worry that some of these websites are not being honest about how beneficial their services really are. Read on to learn about the pros and cons of DIY wills as well as how you can ensure that your estate planning documents will be legally binding. One of the biggest differences between DIY or online estate planning services is that these programs are almost always one-size-fits-all solutions. Because these services have to work for a wide range of individuals, there is very little personalization to the plans. If you have complex assets, a blended family, a second marriage, or other unique circumstances, you are not likely to have these specific needs addressed by an impersonal website. Some of these online programs do offer personal advice from professionals, but this is often an additional service which costs quite a bit more. Most estate planning attorneys suggest that individuals have a will and/or trust, power of attorney for financial decisions, and an advance health care directive or living will. However, each individual has unique needs that may not be met by the most common estate planning documents. A licensed attorney can help you figure out which documents you need in order to meet you and your family’s needs. Furthermore, working with a professional means that he or she is considering the tax implications of your decisions and can help you choose the course of action which decreases financial loss to taxes as much as possible. Even if you do not know how to write one that is valid, you probably know what a will is. Or, maybe you are more familiar with the longer name of a “Last Will and Testament.” There is a good chance that you know that most people create a will to direct how their property will handed down to the next generation after they die. You may also have heard of trusts, but you may be unsure as what a trust actually is. Fortunately, we can help you develop a better understanding of trusts and how they can be used in estate planning. 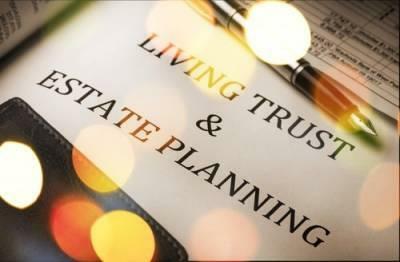 All trusts are formal instruments that allow the creator of the trust—called a “grantor” or “trustor”—to transfer ownership of his or her property into the trust to be managed by another person or entity—called a “trustee”—for the benefit of a third person or persons—called “beneficiaries.” Several different kinds of trusts can be used for estate planning purposes, each with its own set of rules, requirements, and potential advantages. All of them, however, are similar in structure and hold assets to be transferred at a later time—usually after the death of the grantor. Most trusts fall into one of two primary categories. They can be either revocable or irrevocable. A revocable trust—often known as a living trust—allows for the transfer of assets, but the terms of the trust can be changed at any time while the grantor is still living. The entire trust can even be revoked; hence the name. In most cases, the grantor of a revocable trust will appoint himself or herself as the primary trustee so that he or she can remain in control of the trusts property during his or her lifetime. Upon the grantor’s death, a contingent or successor trustee will assume the role.